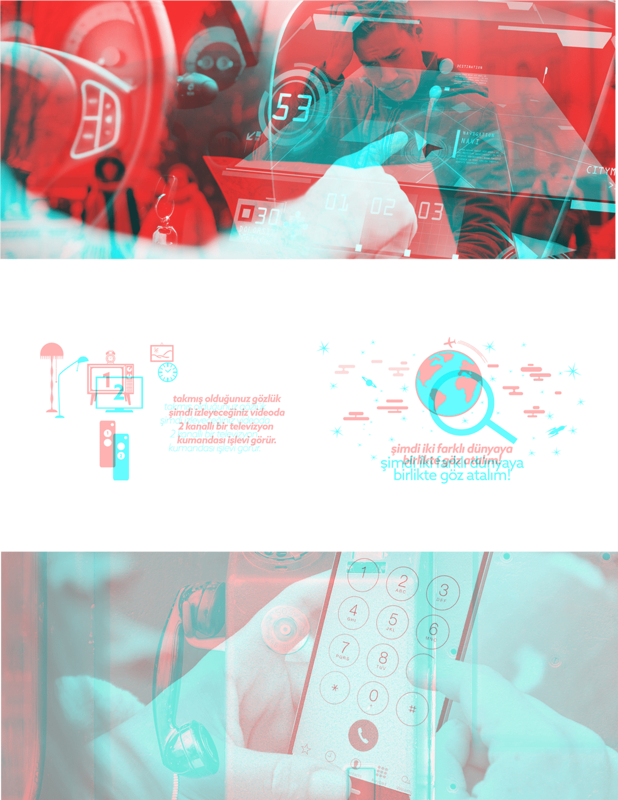 Brief was building a project which would underline the innovation journey of TEB & draw attention of the young audience in parallel to the speech of Ümit Leblebici, General Manager of TEB, during Turkish Innovation Week. 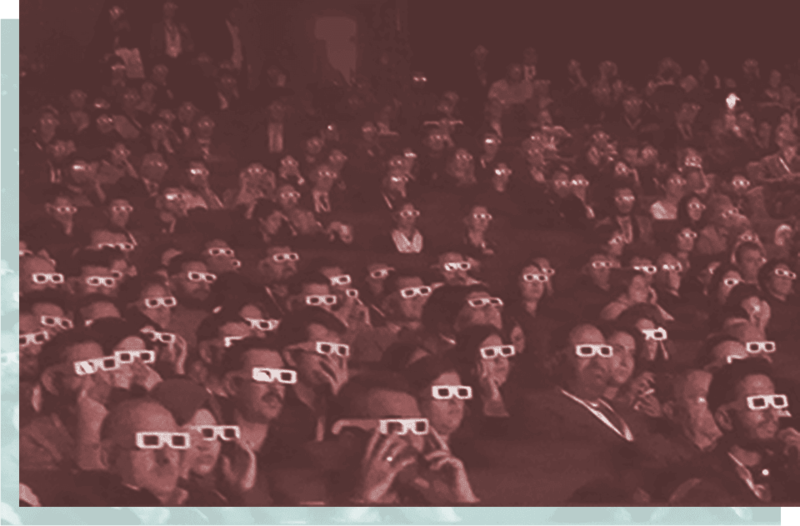 We requested the audience of 3.000 people to wear red &blue 3D glasses to watch the video which would tell the story of innovation before the speech. The audience practically watch the same video played during the speech, but saw the world under the influence of innovation with thier right eye, and the world without innovation with their left eye. The project was highly appreciated by the auidence and organisation.